HPS has released a report analyzing the regulatory and market implications of the drastic increase in Uber use by Members of Congress. Given that this trend is likely occurring at the local level as well, the key political question is – What does it mean for peer-to-peer companies when their regulators are also their committed customers? 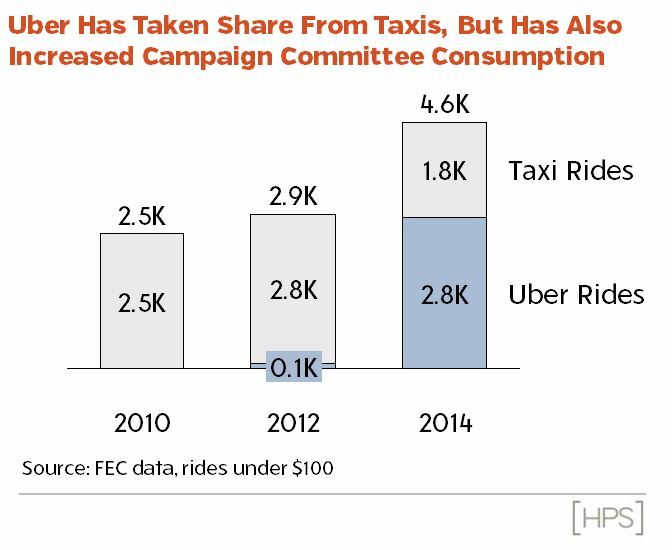 For low dollar rides during recent Congressional campaigns, Uber has overtaken taxis in both number of rides and amount spent. The overall market demand for rider services during campaigns has increased since Uber launched.